At MJM Engines, we provide reliable and expert inspection, removal and/or repair, and diagnoses of your transmission. We specialize in ALL transmission repair and replacements, no matter what make, model, or year of your car. 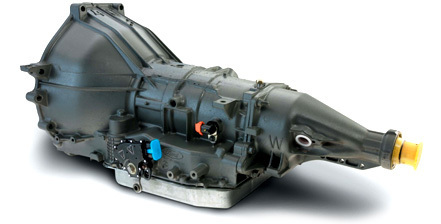 No matter if your car is foreign, domestic, automatic or manual, the expertise at MJM Engines will get your transmission running again at peak performance. With MJM Engines, you will feel confident that your diagnosis will be accurate, our certified technicians will identify whether you have external minor repair or internal repair. Since 1993, we’ve proudly helped San Diego residents with engine and transmission repair. Our experience is second to none and you will be confident that your vehicle will be taken care of properly. These can all be signs of a transmission problem. But you don't have to wait until you have a problem before you service your transmission. Having your vehicle checked and serviced at recommend intervals will prolong the life of your transmission. Why bring your auto to MJM Engines for transmission repair & service? So for automatic or standard transmission repair, clutch repair, transfer case repair, differential repair, CV joint repair or universal joint repair, we've got you covered. You can trust MJM Engines to do it right the first time, and stand behind our work after the job is done. And we pride ourselves on offering our top-notch services at very competitive prices.